How to Stay Positive Around Negative People: Be a Mirror for the Light! When we’re around negative people it’s very easy to be taken down by their energy. If we’re not paying attention, we can soak up their darkness without even realizing it. If you’re an empath or if you’re highly sensitive to other people’s energetic vibrations, you may be especially prone to taking on other people’s negative energy. This practice is very important for you! In this video and post, I offer guidance on how to stay positive when people try to bring you down. The tools I share will help you avoid getting sucked into negativity. Instead, you will spread light and actually lift up others as well! Is there a low-vibe person in your life? Is there someone in your life who tends to be negative? Or someone you tend to be negative with? Maybe your friendship started because you both worked in a job you hated, and you bonded by venting over it. And now, months or years later, complaining and ranting is still the basis for your friendship. Maybe there is someone in your life who is going through a tough time and is leaning toward the negative. And when you’re around them, your energetic vibration plummets. You go from positive to pissed off in minutes. We’ve all been there. We’ve been the negative person and the person who got dragged down! I heard it loud and clear. My job isn’t to soak up the negativity, fight against the negativity and create more negativity. My job is just to stay rooted in my conviction and commitment to the light. This is your job, too. Stay grounded. Stay committed to positivity, to the truth, which is love, to the truth, which is light, the truth, which is forgiveness and compassion and non-judgment. When someone is being negative or even attacking you with their words, you don’t have to say anything at all. You don’t have to fight back. Instead of saying something that you might regret later, just be in the energy of the light. Trust that being positive and staying in the light will not only protect your own energy but reflect the light back to the other person as well. They will soften. Their energy will lift, if only a little bit at first. Plus, your energy toward them will change. You will see them in the light and easily forgive their negativity. We’re all just energy beings bouncing off of each other. If we as lightworkers take on the responsibility to be the mirror for the light, we will have a much easier time dealing with the negative people in our lives. If you have negative people in your office, just make a commitment every day to sit at your desk as a mirror for the light. Envision that you’ve got mirrors around you and the light is reflecting off you. If your romantic partner brings negative energy home, be that mirror for the light. If you have a coworker who always complains, be a mirror for the light. If you have a friend or a loved one who always starts ranting or gossiping the minute you get together, be a mirror for the light! I understand this isn’t always easy. It’s not something that comes naturally to us. Sometimes it does require a lot of effort and commitment and conviction. But all you need is the willingness. Start to practice it. Get into the habit of being the light. 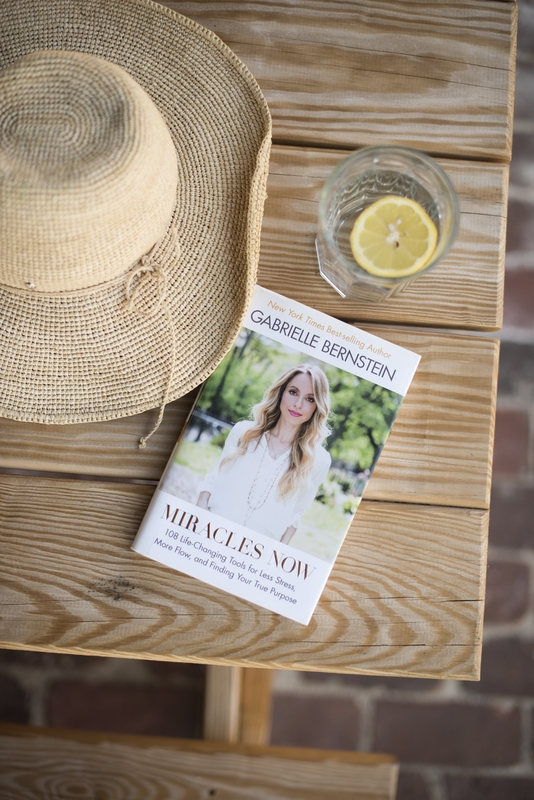 Check out my book Miracles Now for lots of fast, easy ways to protect your energy and raise your vibration. Leave me a comment below. Let me know what comes up for you. Let me know the challenges and let me know the miracles. Find a positive community: Become a Miracle Member! Join my Miracle Membership to stay spiritually connected every day and find high-vibe running buddies in our private Facebook group! Every month I give you brand-new content, including a guided meditation and podcast episode, to help you stick to your spiritual practices. Click here to learn more about the Miracle Membership! I have a quick question. All throughout my life I have always wanted to help people- I knew that at a very young age. The last three months I have suffered from crippling anxiety and, while I am getting better, I have found that people are being gravitated more towards me. Within the last three months, at least five people who I have never been close to have contacted me out of the blue, seeking help in their personal lives, I know you always say that, depending on what energy you put out into the universe, you attract that energy back towards you. I have lived by this thought process, but I am confused as to why the Universe is connecting me to people who need help? By nature I am a very loving and maternal person. I just KNOW that the last three months I have been putting out some funky vibes because of my nerves. How is it that I am calling more people into my life to help them, even when I have been a nervous wreck? Man, I NEED to remember that service is a way out of my deep funk today!!!! I just had a radical shift- by practising my music today I am serving the world! I KNOW that my creative vision & music is meant to serve the world but seeing this small action today as service gives me greater motivation to practise in my deep funk today. Thank you so much, I really needed to hear this today. When im on my college campus and around NYC , people who are being negative normally make me feel the same way. I love what you said even in the beginning of the video where you honor their path. Im beginning to see that the challenging people are there to help me live a better way. Thank you. This video came right on time! lol. 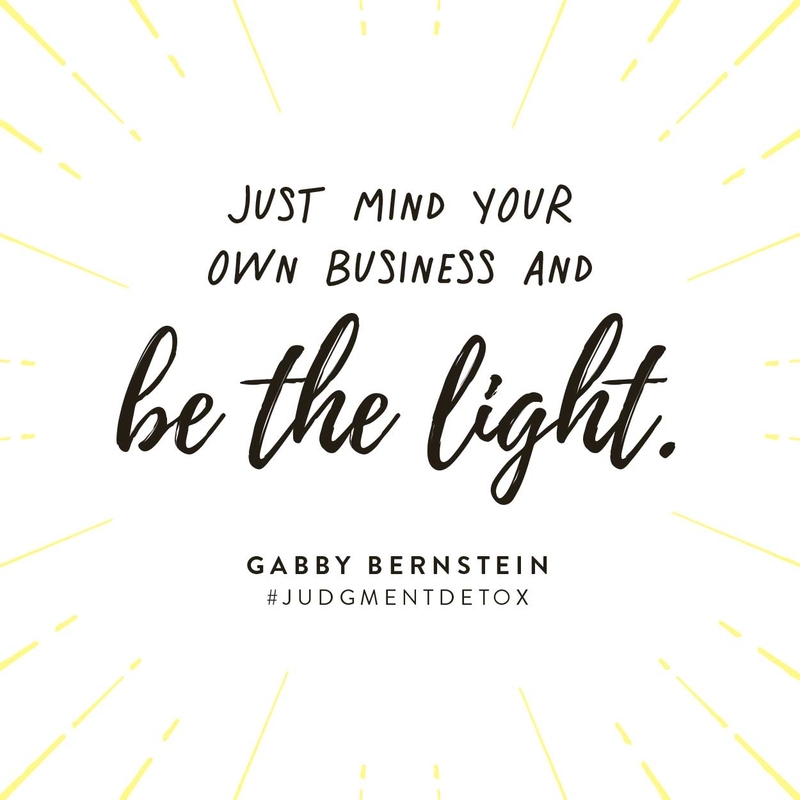 just be the light. Such a positive message, I needed this reminder to stay grounded to my commitment to light especially this week because I have a fam wedding this weekend where a lot of sadness might be lingering around. Have a Beautiful and Wonderful Day! beautiful! I’m going to do this. Thank you for sharing. Yes and Yes!! Great message ?? I myself can be a negative Nancy and I’m not proud of it. I have become more and more aware of my negative thoughts and outlook. I do much better when I add meditation to my daily life. I think by visualizing myself as a mirror for the light, I will quit being a sponge for the darkness. I really like that saying you came up with. Thanks for sharing it and giving me a way to work on being more positive, not only for myself but for others. When I saw this topic I eagerly clicked on to watch, only to have my enthusiasm put out like water dashed on a fire! I understand the intent, however when one has spent a lifetime of being the beacon of light, there comes time when the beacon dims and help is needed from another who understands and is willing to be the igniter of new energy and a wall of protection during the healing! It’s like when Superman comes in contact with kryptonite and needs help to be pulled from it’s presence or it taken away from his presence. All in all, there still is a period of recuperation that’s needed and a time to be cared for. Peace & Blessing. Thank you, Gabby. I needed to hear this today. I tend to allow the negativity affect me far too deeply and personally. I feel so injured by it that I react in a way I am not proud of at all and then I have so much trouble forgiving myself for the reaction. It’s just a cycle I need to break. But, I have a question. How do I know when my light is just not wanted in a situation? If the person continues to, knowingly, try to bring me down or hurt my feelings, do I continue to stay in the light or do I walk away. I am just so confused because I want to stay in the light with all people, but it gets to a point where I start to feel a bit abused and hurt by the negativity. I know this is my ego feeling hurt, etc., but I guess my issue is about boundaries. I don’t know when to set them and when not to. I forgive and forgive…is that the only thing I need to do? Forgive and stay in the light? You have changed my life in so many ways. Thank you, Gabby. I too feel this way, Sarah. Curious to know Gabby’s suggestions. Loved this vlog! Im such a perceptive person-often to my detriment. Working on loving but protecting my energy. Thank you for this reply, Caroline. It helps to know someone else out there feels the same way. I agree, this vlog was perfect and just what I needed. I know the answer is to be the mirror of light, but sometimes I struggle with knowing exactly how to do this…in all situations. Knowing we are all in this together really helps. We are all the light! And to quote Passenger, “if we all light up, we can scare away the dark.” Thank you, Caroline. I have a real challenge when it comes to feeling my energy being dragged. I totally understand that people can bring you down by being negative, but how would you deal if you are a high introvert (which to me means that I get my energy from being alone and I lose it when I’m with people) and also a High Sensitive Person that has very few filters and everything around me affects me at a more sensitive level? As much as I love spending time with my friends, family and people in general, I usually feel that I have to be protecting myself and being on guard so I don’t feel energetically depleted. Can someone help? Diana – that things could describe me as well and I do healing work with animals and people so have to stay grounded and well). I have found the key to a healthier, happier life is clearing out old, stuck energy (Qi Gong has been huge for me, yoga and meditation, and getting body work from a good energetic bodyworker, craniosacral, therapeutic massage, reiki, etc). Once you get rid of some of that stuff dragging you down (it is an ongoing way of life but clearing out some of the energy cobwebs really helps), you have to have an ongoing practice to balance your core (chakra clearing or whatever works for you), clear yourself, and ground yourself. I think for sensitive people boundaries are the fundamental issue to help you not take on stuff that isn’t for you anyhow. We can’t carry the load or learn the lessons another needs to do for themselves, and to take that on makes it harder for us to accomplish our soul’s purpose, which is our greatest gift and mission in life. Thank so much for your help and for replying to my message. Thank you Diana and Elisabeth for sharing your postings and issues! Diana, I just feel like you and in many cases I thought I will now collapse because I simply can’t stand what’s going on any more…I had an inner shaking and trembling and had no idea who I really was…. only when I was alone, I could recover a little bit. after weeks of holidays just one single day at work made the whole recovery ineffective…oh what a struggle, what an endless fight! I heard that I have to clean myself and to protect myself and to make clear boundaries, but I had no idea how. I started to train hard and to do qigong and also workouts in order to strengthen by body…but that was so hard work and I did it because of pure despair. when I had to go to work at 7, I got up at 4.30 in order to train for an hour….it helped a lot but it was nothing I wanted to do my entire life….and so I finally found Gabby. It was her book I saw in a a local bookstore and from the beginning I started reading and experiencing with her exercises, I began feeling better and better and my personal breakthrough was her video where she showed how I could clean myself with the help of the spirit, god, the angels….and how I could protect myself. I practice every day with joy and enthusiasm and the results are truly amazing. miracles are happening every day now! it feels so heavenly good, when the energy comes back!!!!!! thank you all your beautiful souls, Diana, Elisabeth, Gabby and all the other writers here. I love what you have to say about negativity. Sometimes the person who is negative, just feels that he or she is being practical, not negative and continues on the same conversation, which really is negative. thank you for today’s post. Thank you for your reassuring message Gabby. As an empath I really have to watch that when I do absorb people’s energy that I am able to quickly let it go. I clear my space and my energy often. Tapping (EFT) is great at helping me let go of negative energy and empower myself with positive thoughts/emotions. I find that as I am building my own coaching/hypnotherapy practice that I have to examine all of the comments friends and family members make to me about my business success. If it’s not a belief I share, I have to identify it as their story and let it go. It is all a constant practice. Laura – I am going to be taking hypnotherapy courses next year to add to my wellness coaching and chronic illness recovery practice. Chronic illness requires letting go of a lot of beliefs and I currently use a sound table to help with that, and hypnotherapy will be the last piece. And all those tools help us stay in good shape too. I know my purpose on life is to be a healer and spiritual helper, and to do that I have to do a lot of self-care as well. I love having a calling that demands I stay in good health and balance to do my work! What a great exercise. I actually need to try it this morning in dealing with one of my employees. This is something that could really be used not only dealing with negative people, but dealing with stressful situations. Using the image of mirrors being the barrier to any negative vibrations is awesome! Thank you! fabulous post Gabby. I would add to “effort, commitment and conviction” – courage. I find that the one thing that consistently stands between me soaking up the darkness and mirroring the light is the courage to risk being left out or rejected because I am taking a stand for something different. Thank you! I work with horses and they absorb and reflect your energy and teach you so much about dealing with negativity without words ! the universe brings you the lessons you need, when you need them. How do I put your suggestion in practice? Today, my Angel told me to turn thoughts toward the positive. So, I walk into my office or into my home with Oscar the Grouch growling about EVERTHING! How do I get to that higher vibration? Thanks for sharing! We can feel the levity! How do bear witness specifically? Let him vent without interruption? Sometimes I feel the person goes on and on and after half hour of just listening, I may interject and it seems the person doesn’t want any assistance, feedback etc. thanks for sharing. Also, if I say “sorry that happened.” And then not much more it sometimes works but feels vacant and trite. Love and light! Thanks for sharing! We can feel the levity! How do you bear witness specifically? Let him vent without interruption? Sometimes I feel the person goes on and on and after half hour of just listening, I may interject and it seems the person doesn’t want any assistance, feedback etc. thanks for sharing. Also, if I say “sorry that happened.” And then not much more it sometimes works but feels vacant and trite. Love and light! This is SO great! I’m going to use this while teaching my Pilates classes. So many people in class have negative body/food issues (been there!!!) and focus on what’s “wrong” with their bodies, what they don’t like. I’m going to be a reflection of the light so they feel strong and empowered inside & out! This is exactly what I needed to hear! My boyfriend and I were going through a rough patch – he saw an ex girlfriend behind my back. I called my friends and family looking for support because I was upset. I told them he had cheated before I knew all the facts and had given us a chance to talk about it. A very long story attempted to be made short – he did lie, but it wasn’t what I thought it was, and he was the one who came out and told me the truth because he wanted us to be able to move forward and keep building what we were without something like that hanging over us. To me personally, I know what him and I have and I know people make mistakes because we are just human. Since this all happened he has been nothing but amazing and showing me all the light in the world. He has been my positivity and support long before this and still is. But as him and I try to work and move forward, I have all the negativity from the friends and family I turned to when I was hurt. They are making judgments and being unsupportive and I just feel all this negativity and negative energy from so many of them that it is making it difficult to move forward with this person I know I am sure of and am confident in. Is it because I am making the wrong decision by wanting to move forward with him or is it other people making judgements and opinions on something they don’t truly know about? Whenever my kids call me with negative situations I try to turn it into a positive, but because this is a different approach for me and they aren’t used to it, they tend to make fun of me and my advice is perceived as not caring and wanting to dismiss their frustration. I’m glad that you made this video because it’s something that make great efforts in doing. I have a situation at work where I received a negative review and it’s frustrating to say the the least. The problem isn’t about getting feedback, but more about how the person phase the review. I certainly wouldn’t tell anyone that they limited analytical skills and has a lack of commitment to the job. I don’t consider these statements feedback, but more or less how the person really thinks of me. She may not budge from whatever position she holds. It’s tough, but going for walks doing lunch is grounding me. Amazing vlog! I’ve been trying my best to be supportive of my friend who is going through a difficult time at her new job and she exudes so much sadness and negativity that I’m absorbing her energy. Lord knows I’m not perfect but there comes a time when I just want to cut ties with her because I’m afraid of hearing how depressed she is when I’m trying to bring peace into my life. This is an assignment that is a tough one for me because as much as I love my friend, I feel a huge weight (and starting to feel irritated) when I receive a text or phone call from her. I will need to be a mirror for the light instead of a sponge for darkness. Thanks for all you do! I think you are amazing and truly inspiring. Good one, Gab! Love that! I believe I did this last week and a loved one said to me ‘you’re not perfect. don’t act like you’re perfect’, but I believed that I was being the light and reflecting the light… Would love your guidance on this. p.s. Going to see Gurmukh speak in T.O. tonight… Psyched!!!! Currently sitting in an office with a very low vibe. THANK YOU for the reminder to be the lighthouse, no matter what. I can tell I’m soaking up the bad vibes when I start to get headaches and a tight jaw. Anyone else experience these physical symptoms too? It’s amazing just how strongly the negative energy can take hold. Deep breaths and another large glass of water. Thanks for coming to the rescue with this message, Gabby! Oh yes, I feel the low vibes with my whole body! This could go so far and extreme that I start to get panic, when I loose my energy in low energy places or with people! Yes, Gabby! So true. We must create the space between our thoughts and what is being shared and allow the presence of love and light to shine through. Happy Monday! I have the same issue with my husband. And since I started to protect my self and clean myself I feel so much better, but in the same time I can feel how he is struggling and fighting and he seems to be even more negative. My new behavior influences him. Instead of getting angry, arguing with him and all that negative stuff, I do my best to be the light, to shine and reflect the light. I do so, so much inner work when we are together and I hope that he will have a break-through, too….all the best, love & light for our relationships! Wow! I so needed this today! I have a friend who is currently going through a difficult time and I’m starting to feel like he would rather sit in his own negativity and be miserable, than to consider anything positive that I have to say. However, this vlog gives me some valuable information on how to deal with other people’s negativity and not allowing it to affect my happiness. Thanks so much! Thanks so much for this great advice! I definitely needed this and have been working on this for awhile. I find it challenging to do this, but am getting better and continuing to work on it. DUDE! I just got the most amazing idea for a painting!!! Listening to this vlog and the ideas shared today gave me a lovely vision, I shall bring it to life! Can I mail it to you once It’s finished? I had an intense discussion today with someone that is what I call an emotional vampire. I’m sure you’ve all met one before. They’re the “me, me, me” person that’s always negative and somehow they take energy from you. They leave you exhausted after a conversation. I really needed this today. My spirit feels re-energized. I need to remember this and put it into practice. You need good boundaries to ward off emotional vampires 🙂 Once you set limits they tend to find someone easier to prey on, they prefer the weak. Family can be the toughest as they think because they are family, no boundaries necessary. And for us some of them require the biggest boundaries. Good luck! I actually use the image of an energy bubble with white light to define my boundaries as it defines my energy field while creating protective and loving light. Basically a version of what was talked about here. Has been hugely helpful for me. That’s so true. I’m going to try to practice the things I’ve learned here today. Thank you for this vlog, Gabby! I have been struggling with this for the past week at my job so this was a needed reminder and lesson! Love that most of your blogs speak to exactly what I need at the time I watch them. Love and light to you! I can’t wait to go to work tomorrow and picture mirrors all around my desk radiating my light! Thank you for this one, Gabby! This is PERFECT for what I need to help me in situations exactly like you describe! Thank you for taking the time to do these Gabby. Don’t stop!! Love this! I totally relate with a similar experience a few weeks ago. My boyfriend and I had been going out to get takeout. I had a bad cold, so I felt a bit cranky and stressed. In the car we got to talking and, at some point or another, he got upset by the way I spoke to him and he started to lecture me about it. I didn’t say anything or react. Just remained calm and took it in — I didn’t feel attacked or take it as one. Just let it be as is. It seemed that was all I had to do… to simply be the strong pillar of light and acceptance in that moment and it was enough to turn around a would-have-been argument into a comforting and loving place for both of us. thank you Gabby, as always, you offer wonderful insight and advice to contemplate. I really believe that there are certain people that are so stuck in their stuff ( i have been there many of times) that they do not see that they are sucking peoples energies. I am doing alot of work on deflecting the negative and reflecting the positive; and as you mentioned, it isnt easy, but its worth practising. Sat Nam to you too!!! I just loved the “stay in your presence” answer and that all that is really required. That way it is indeed easier to be a reflector of light and to focus on JUST that instead of trying to say something that changes the other person. this was spot on and just the message I needed to hear as I sit in my office. So much love for what you do! Thank you! I used this technique yesterday — and slept better last night than I think in months.. maybe years. Hmm. Thanks Gabby!!!! Great video. Be the mirror. I always try to live with this philosophy in life and online. Thanks! Just what I needed to hear this morning on my way into work! Wow. Standing in complete gratitude for the syncronicity of the universe in the timing of when I was lead to watch your message. In the middle of dealing with an employee who adds a lot of stress to my job, starting to get a ‘tude about the most recent issue – and then your message just evaporates all that darkness. Thanks Gabby! Thank you so much Gabby I really needed to hear this. Everyone is trying to bring me down these days. Hi Gabby , so recently i heard a voice say You have such a holy presence that surrounds you tap into that and you will live in fear no more.. Im tring to trust this voice but it seems to good to be true , or that im making thisup .. any advice.. although then when i said this and denied it, i heard trust the voice of truth?! Great post Gabby. Just a quick question/comment re this blog post. I am remaining positive when it comes to my finances, but my Mother has a tendency to be Negative Nancy. She’s investing in the stock market and I have explain to her that money is energy, trying to think of it as fun and light, but she doesn’t listen and calls me and vents and vents. Are there any tips and tricks you can recommend for how to deflect her negativity and to help her see/gain prosperity? There is so much negative energy in this world!! It is unbelievable. I feel like most people think you work and then you die!! Most people don’t believe in the impossible and no one thinks you can live the life of your dreams. It is so hard to be positive in a negative world surrounded by cynical people. But I love shining the light that I have and I will NOT let my hopes and dreams ever stop because I will not stop believing in myself. Cheers to being positive in a dark light!! Gabby, you are my spiritual reflector. Everything you say is what i’ve always been thinking. I suffer with this issue myself. It’s not until you allow your light to come out and shine, do you realise how much negativity falls within your path. Whilst the positivity can help overlook the negativity. I often find people can struggle with you being positive and open when they’re so keen to remain in the negative mindset – how do you get beyond this? I have a neighbour who struggles with her own mental health issues and since i’ve dared to let my light shine she’s taken a turn against me. Almost trying to ruin my inner party and trying to prove there’s negativity within me. I’ve greeted this with my commitment to love and kindness. But as a result – this has only pusher her away further, meaning that she no longer wants to be in my company. It’s sad but potentially god helping me stay on the right path? Finally – words don’t justify how excited i am for seeing you in London in a few weeks. Keep doing what you’re doing! The world needs more people like you!!! You’re work has really inspired me to get in touch with my inner guide but I feel like I’m not hearing it with the certainty that I hear about. How do you find it and how do I know I’m not just making it up since I feel unsure of its voice? Impeccable timing! Thank you SO much! This was timed perfectly. I’m currently facing a boss who is so negative, tired and run down that within minutes of arriving at work I feel sucked up by her energy. She drains me of any positive light or energy and it’s absolutely EXHAUSTING being around her, even when I set up my bubble and commit to being the light for her. I try and demonstrate in my own way, set an example of gratitude, of taking steps to make things better but she seems hell bent on burning herself out and has an answer (always negative) for every suggestion or piece of advice or encouragement I give. It’s so so hard in these instances to continue to be the mirror. It’s exhausting and draining. I’m no stranger to hard work and I by no means quit easily but I’m beginning to find it incredibly difficult to tolerate and be the light in this situation. I have some compassion, in that I know she is stressed, tired and to some extent she is suffering and using being busy as a way to avoid uncomfortable or difficult issues I know she has. She is also an advocate of busy/tired/exhausted = success (I am so tempted to give her Arianna’s ‘Thrive’). But lordy it’s hard to remember that compassion sometimes when she isn’t willing to help herself, she isn’t willing to see the light that is right infront of her. Sorry to rant! I think this just shows how much she is really getting up in my grill and how much of a test this is for me. I’m trying to see it as a test of my compassion, my light, my strength, my patience and my commitment to this path, but it’s not easy trying to stop myself getting sucked up by it! There is no such thing as energy vampires. We all create our own realities so if you feel that someone is sucking your energy it is because YOU are allowing it. You’re passing the buck if you think any other way. If you feel that you are getting drawn into petty arguments and getting upset then take responsibility for your feelings, open your awareness and see why it is affecting you. Why are you entangling yourself with them? If you are truly grounded and rooted in your own power then you can go anywhere and do anything and not be affected by any situation or person. Also don’t allow people to stay in victim mode. If someone is playing the victim, call them on it! Sometimes tough love is exactly what someone needs. Thanks for the advice Gabby! I have been struggling of late with the intense negativity that is in my workplace. It makes me dread going to work and leaves me exhausted at the end of the work day, unable to do much in my home life. All in all, it’s not working! I think there are times when I get too sucked into the negativity and am not quick enough to recognize it when it’s affecting me. The video was great and I will endeavor to reflect life everywhere! Do you have any thoughts on being more in-tune with my body and my energy to see these moments and allow myself time to react to them with a positive attitude? Thanks again, love your vlog, blog, books, etc.! Hi, I wanted to say thank you for your site, Ive definitely been through my dark times and paths, I had once looked into this before and tried it and now this looks like the time to try again. I have a family member who insuates my fiancé and I dog friendly home is to blame for a tick being on their child’s head which They found 5 days after being at our home… How can I be the mirror here? I watched this video before but needed to watch it again to remind myself of the way to shift into a place of love. I find myself wondering if there is a balance between shifting to a reflection of light and standing up for yourself? I believe that you teach people how to treat you, so putting my foot down seems sometimes necessary. However, it puts me in a space that is not natural and comfortable for me. I will try harder to be a mirror for light. Hi Gabby! I would really appreciate your advice about a situation at work. My boss of several years resigned, and I cried. I remained in my office the majority of the day and cried. Then I was told that it was a foolish, unprofessional, and abnormal behavior. That I made it all about me. Is it not ok to cry at work? Just had to emphasize Now i am grateful I stumbled on your web page!. Thank you Gabby! I SO needed to hear this today. I am REALLY struggling with a family member who has mental health issues aswell as an addiction. I’ve managed to be consistent in my positivity for the past few weeks until today. I snapped when they phoned moaning. I was horrible. I did witness it though (been watching SO many of the backdated miracle membership videos this past few days) and I realized as soon as I hung up. So instead of phoning back I texted this person, saying how much they are loved and that I’m sorry. They just caught me at a bad time, feeling poorly and I had no patience. I then went on to tell them how I have faith in them that they can beat this addiction. I reminded them to read Gabby’s books. (I’ve bough them the set, but sent them home with two.) I reminded them that Gabby’s book had helped before and it was the key to turning this around again. However, since I spoke to them a little part of me was still feeling guilty, not knowing how to be positive when they’re so negative, and really exhausting to deal with at times. Then I saw your blog. So I thank you Gabby! Yet again you’ve shared exactly what was needed. Wow. I honor you for doing the work and looking for the spiritual solution. This is a testament to how much the Universe supports us. Stick with your practice. You are the light. Thanks so much Gabby. I’ve had a friend that has become more negative and low vibes. I know she has a lot going on in her life. I’ve been taking her negativity personally and have not reacted well to her. I now know what to do. Hey Gabby, well wrote. I think, to stay positive around negative people, the best way is to ignore their behavior and speech. Loved your post. Especially today, when I needed it the most.